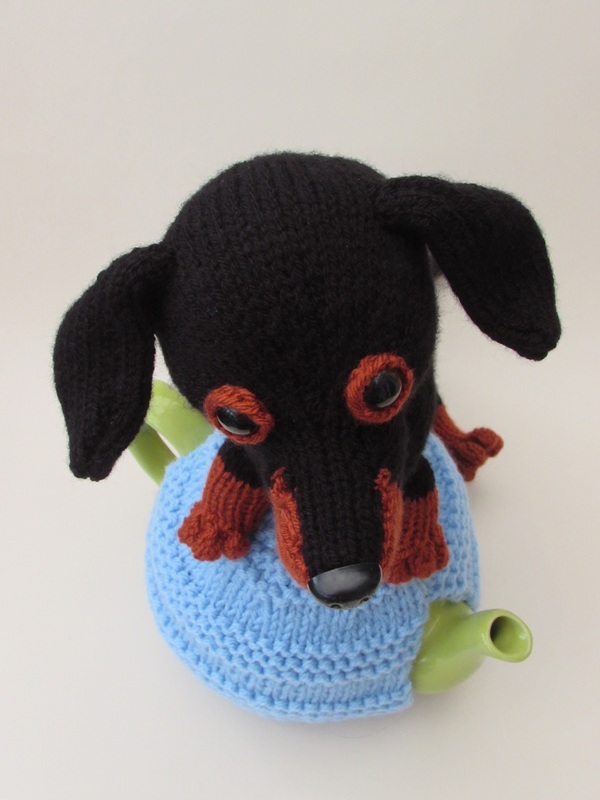 The Dachshund tea cosy is a very cute addition to the dog tea cosy range. 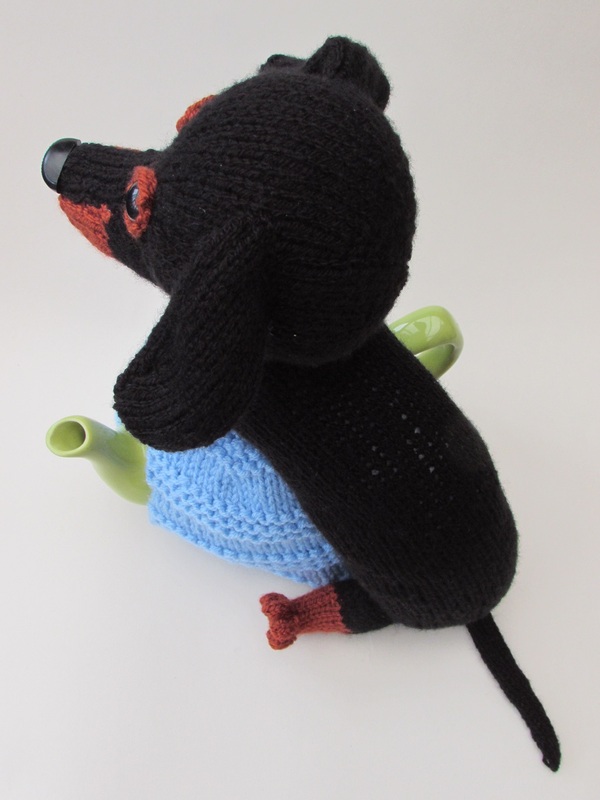 The little Dachshund or sausage dog is climbing up and over the teapot, maybe to keep his tummy warm or to locate the biscuits! 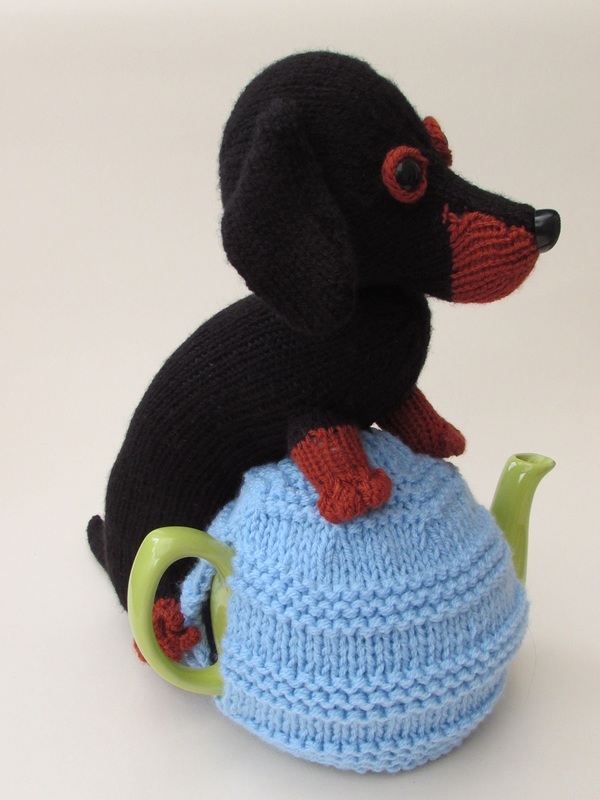 The Dachshund is made separately and then attached to the textured tea cosy. 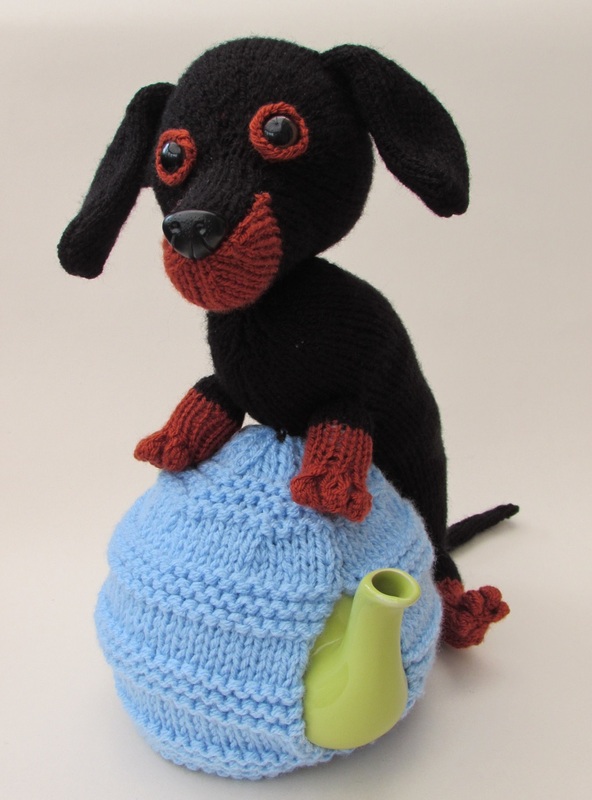 His eyes and nose are safety eyes and nose. 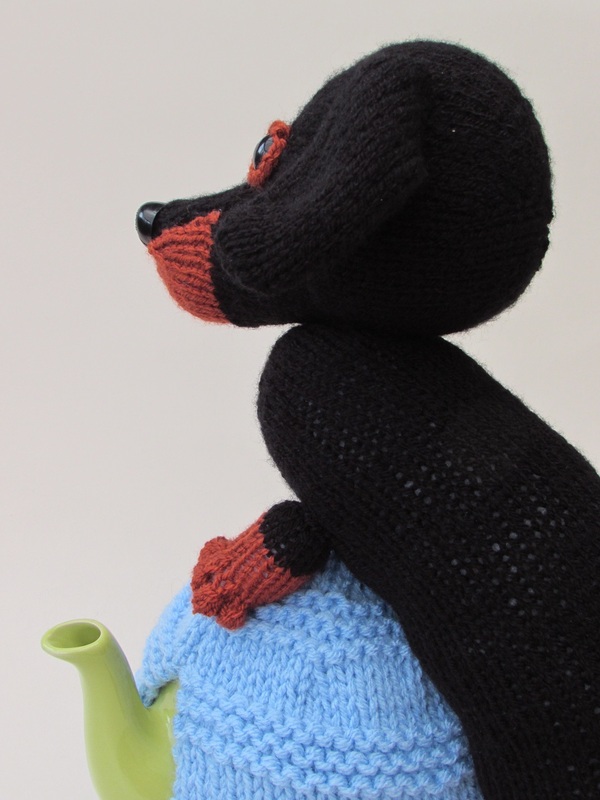 His paws are delightful with four little individual 'toes'. 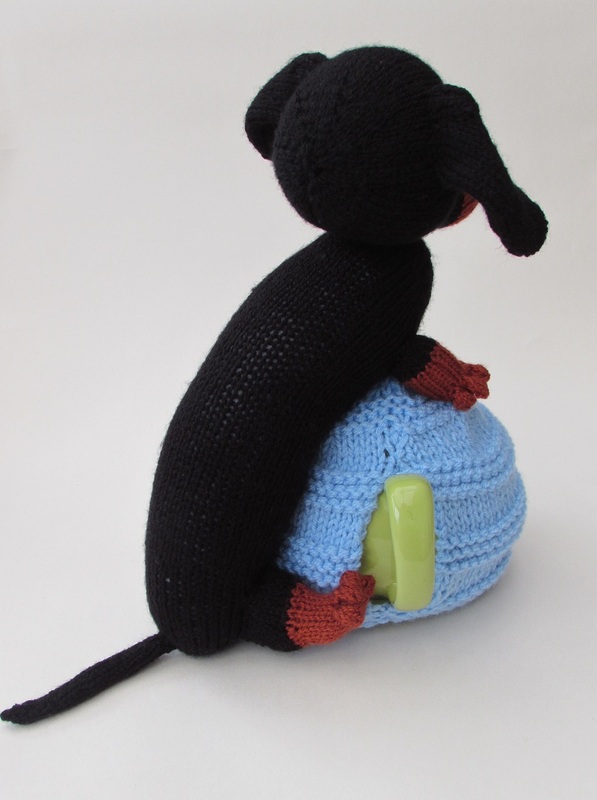 He looks so cute buy a cheeky little scamp. 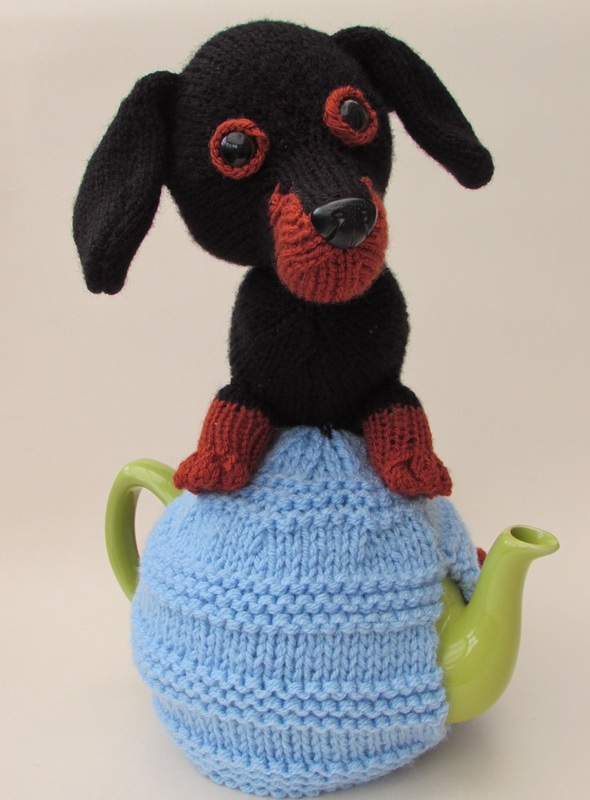 His ears flop over adding to his cuteness, but they also look adorable stood on end as if they are blowing in the wind. 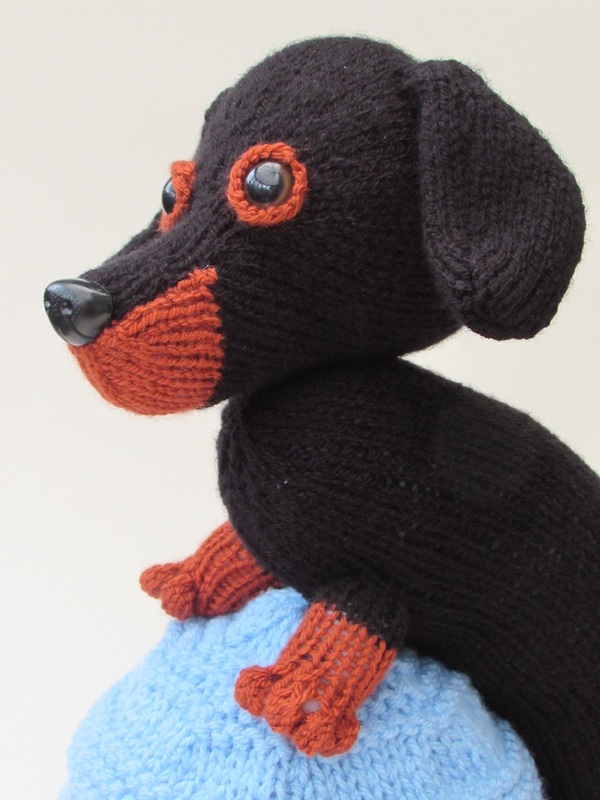 The instructions are to knit a sausage dog in two colours, you you could ignore the colour changes and knit a Dachshund that looks like your pet. 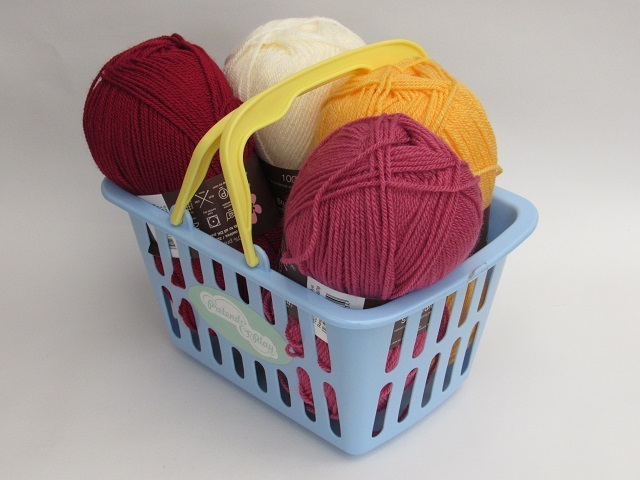 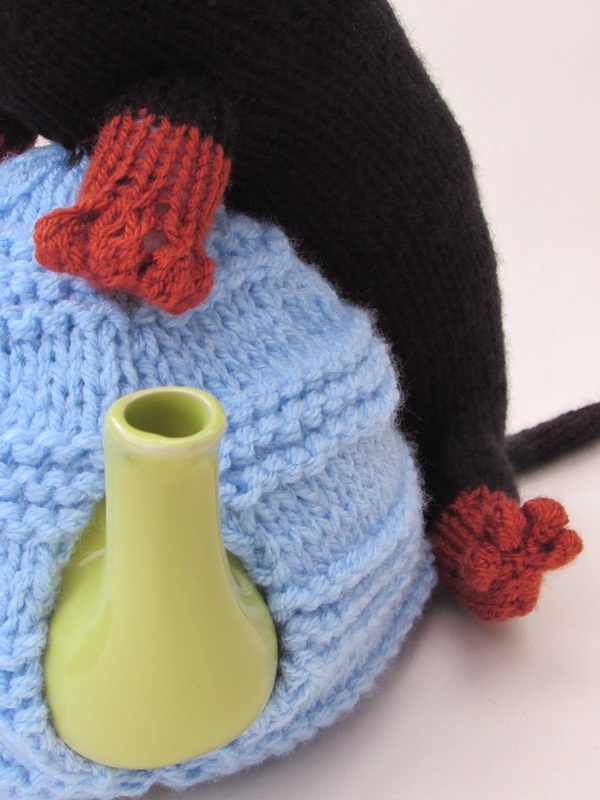 Likewise the main tea cosy could be knitted in a colour of your choosing to suit your kitchen. 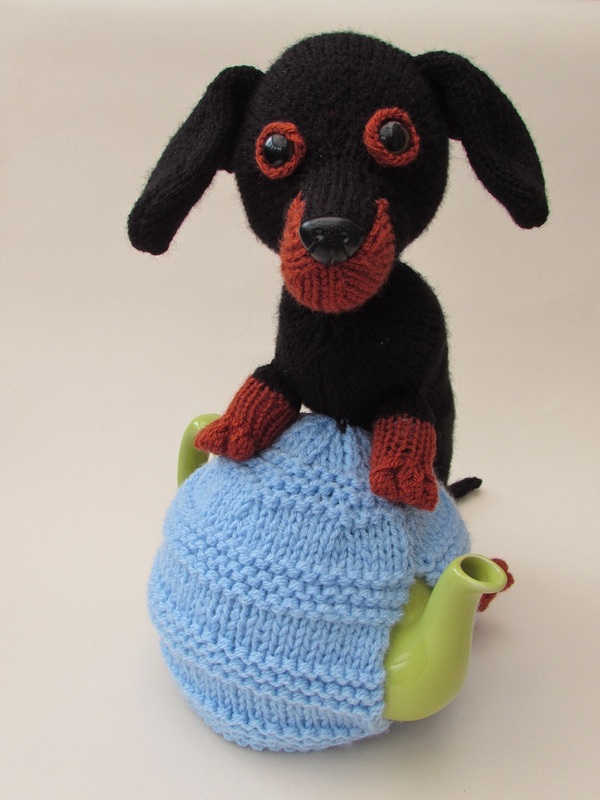 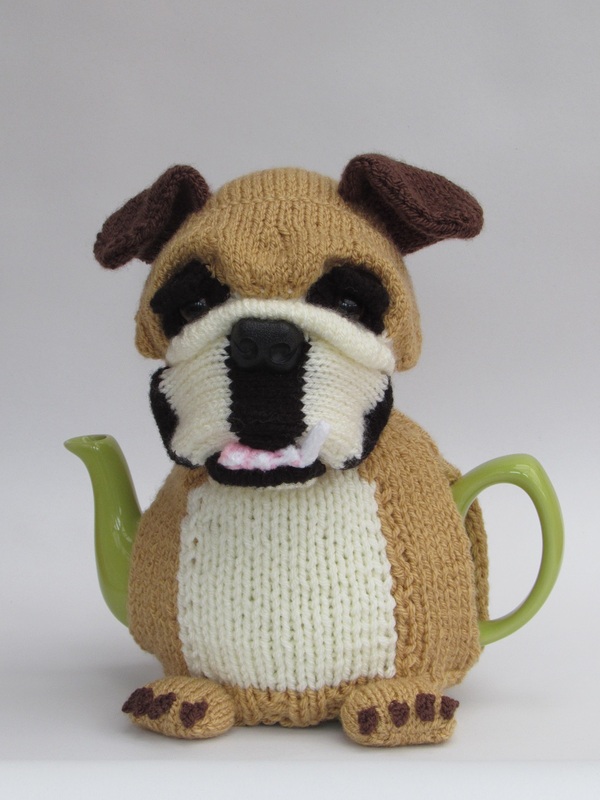 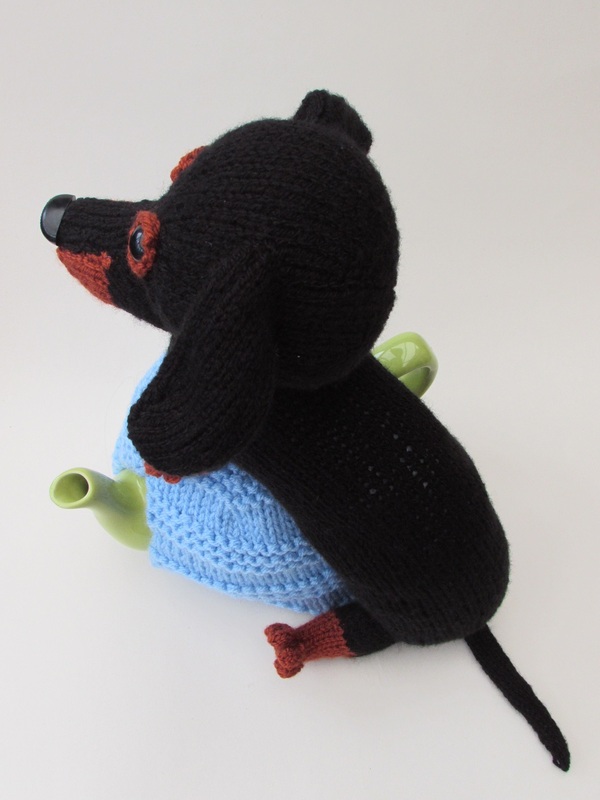 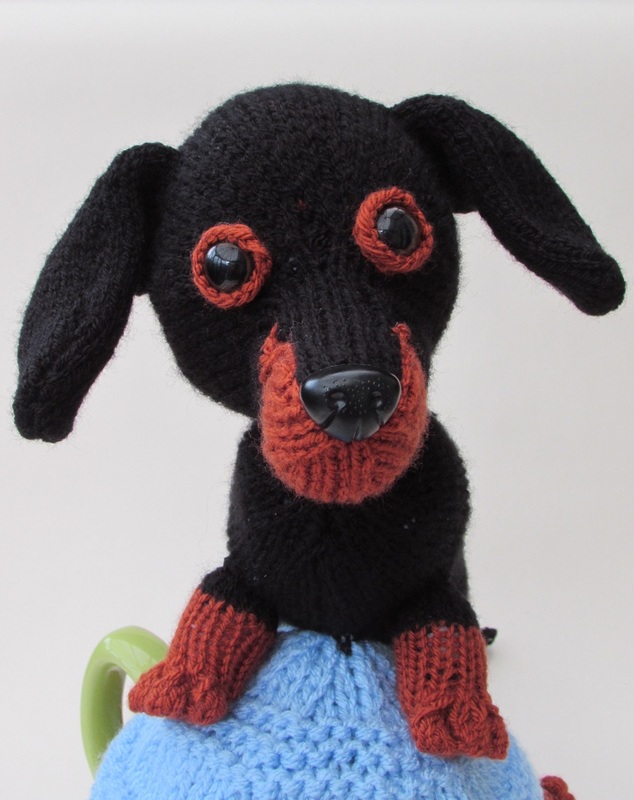 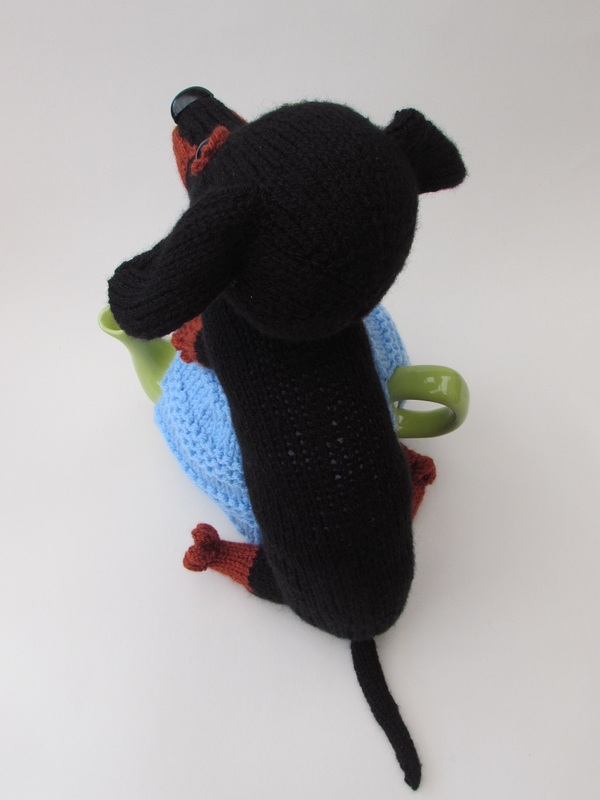 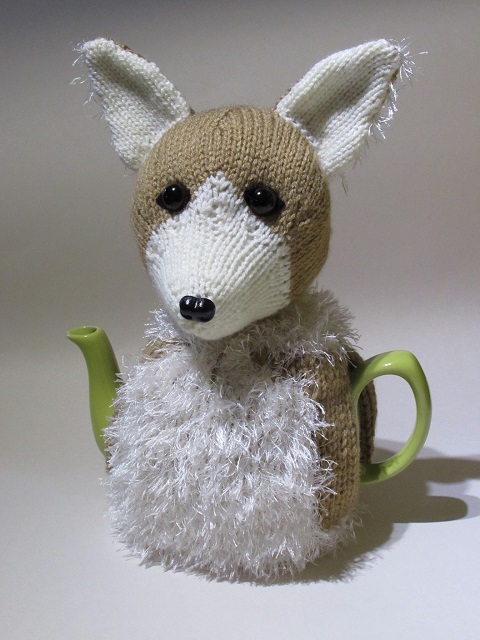 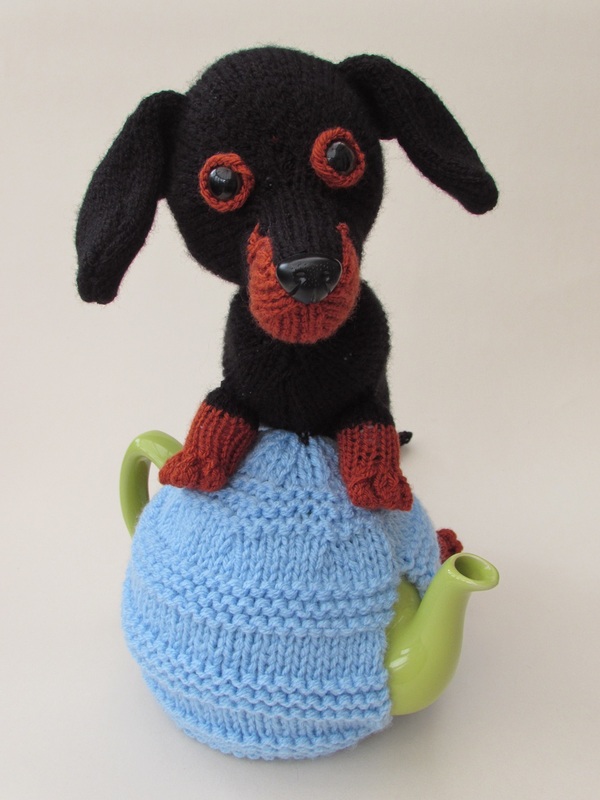 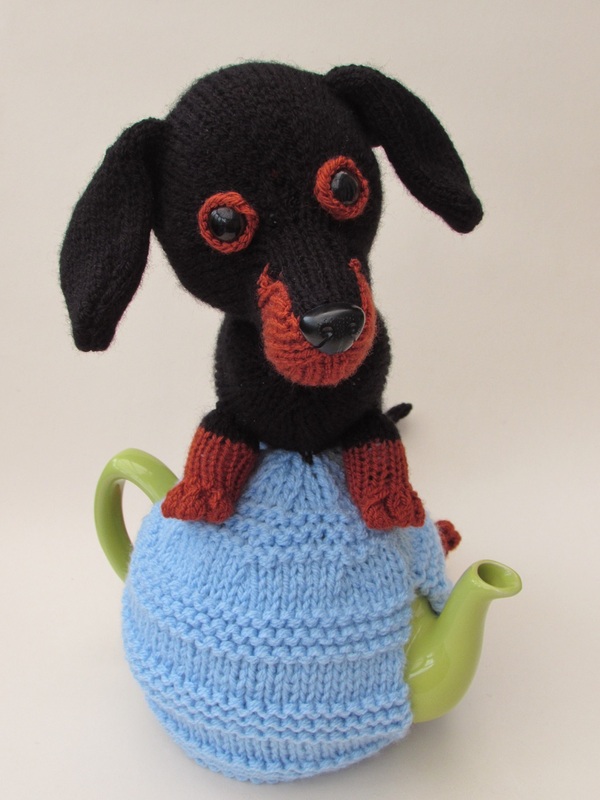 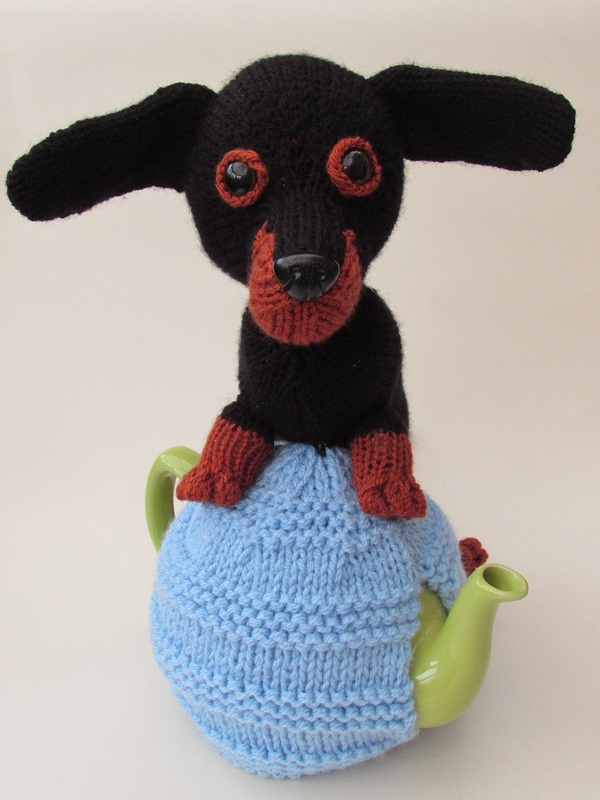 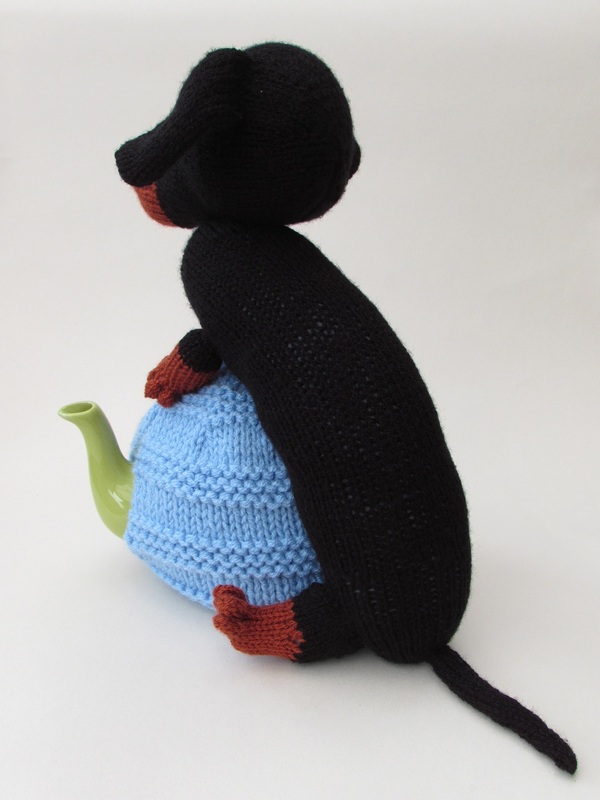 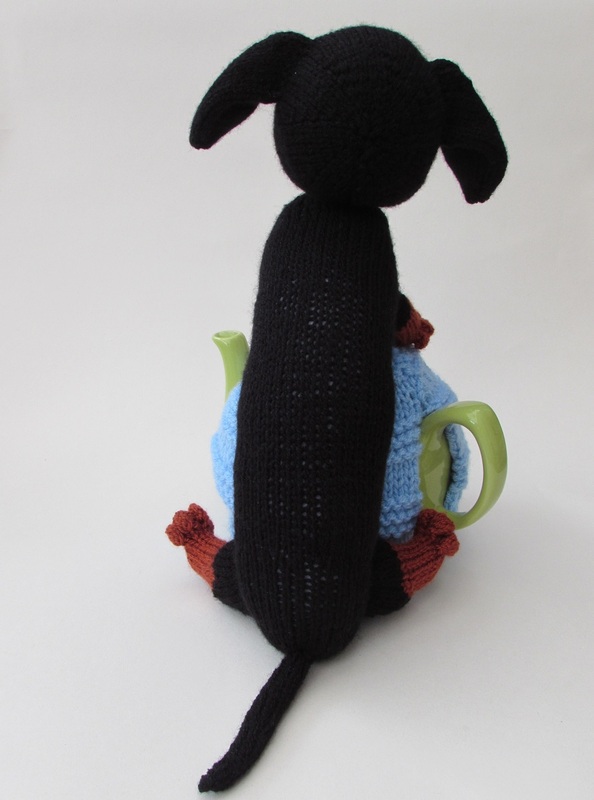 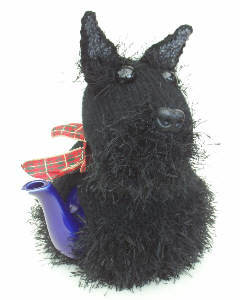 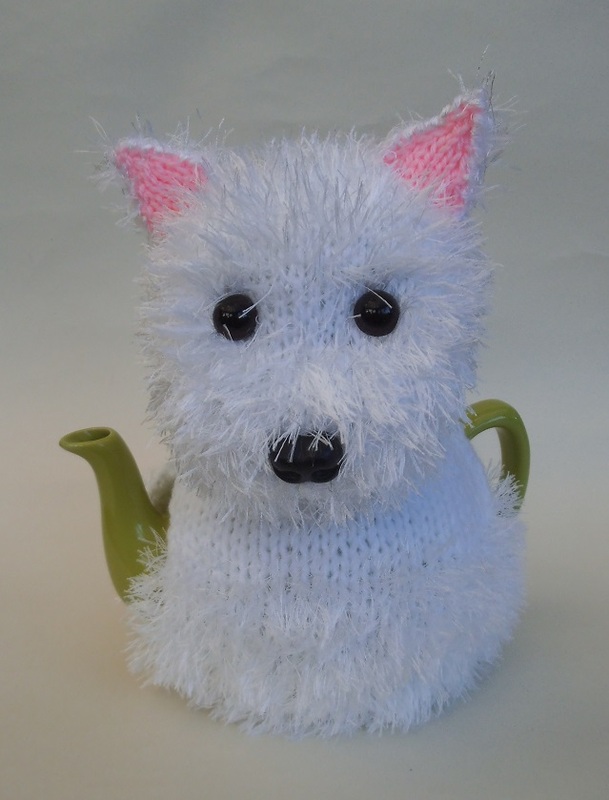 Delightful and unusual dachshund tea cosy to perch on top of your teapot to keep it warm.